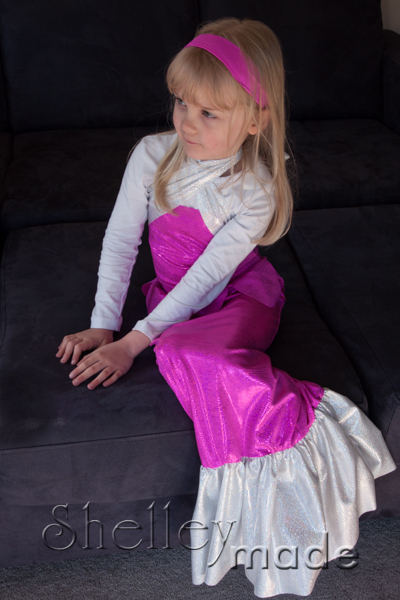 A quick post today to share my latest sewing project... My daughter has been asking for a mermaid costume for about 3 years I think. 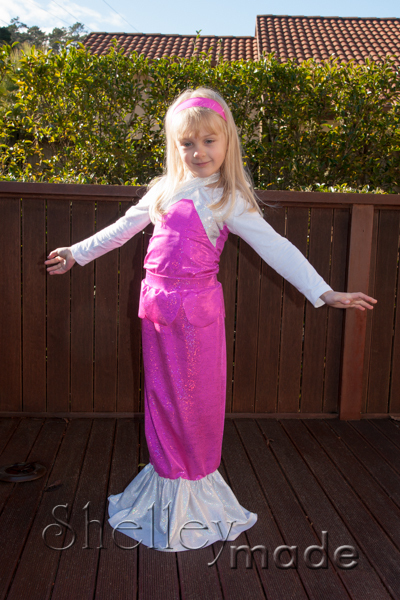 She is off to an Under the Sea birthday party today - so she finally got her wish! I like my mermaids to be a little more modest...no bikini top for this one! I did not choose the fabric - she did. Hence it is very very shimmery and very very pink! 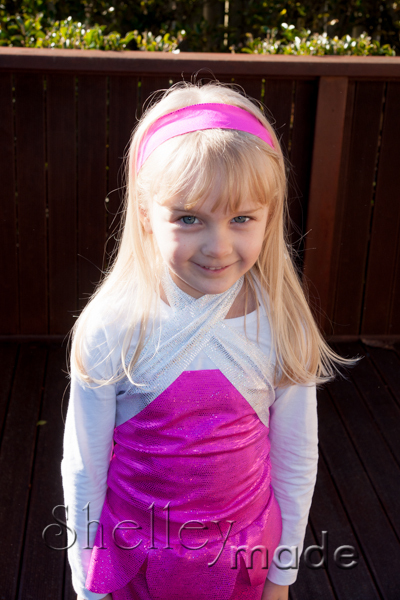 The tail morphs up into a "land princess". Necessary for mermaids out of the water of course. She is rather chuffed with the end result I think! I used the great tutorial from LiEr over at ikatbag for the tail. Worked a treat. 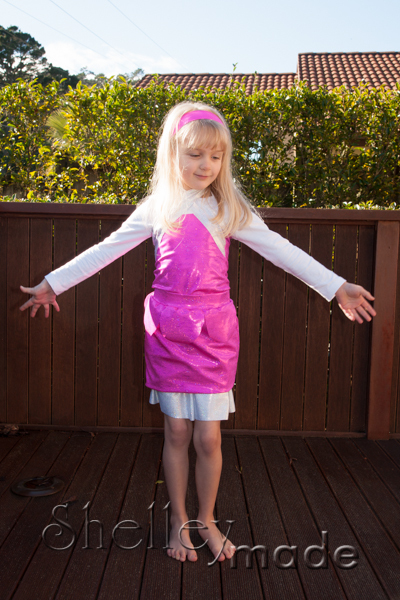 For the top - I created a cylinder from under the armpits to the waist. Attached two long straps on an angle in the seams, that we could tie up behind her neck to keep the top in place. All super stretchy and comfy. I can see it being worn every day for a while...! Lovely! And pink! My girls would die for a pink tail!